Posted on September 4, 2010 by Elizabeth E.
I spent most of the day Thursday hitting the books, grading papers, logging in their grades online. Friday, I taught, smelled a gas leak (called The Gas Company), taught, reported that our phone wasn’t working (again)(but now it is, no worries), came home, met the Gas Man (passed with flying colors-no leak), missed an appointment to see a friend, graded some more, wrote vocabulary lists, fixed dinner, ate, watched The Number One Ladies Detective Agency (two episodes) with my husband, crashed. I also missed going to Quilt Night, a gathering of ladies that’s now going on about eight years. I was just too tired. 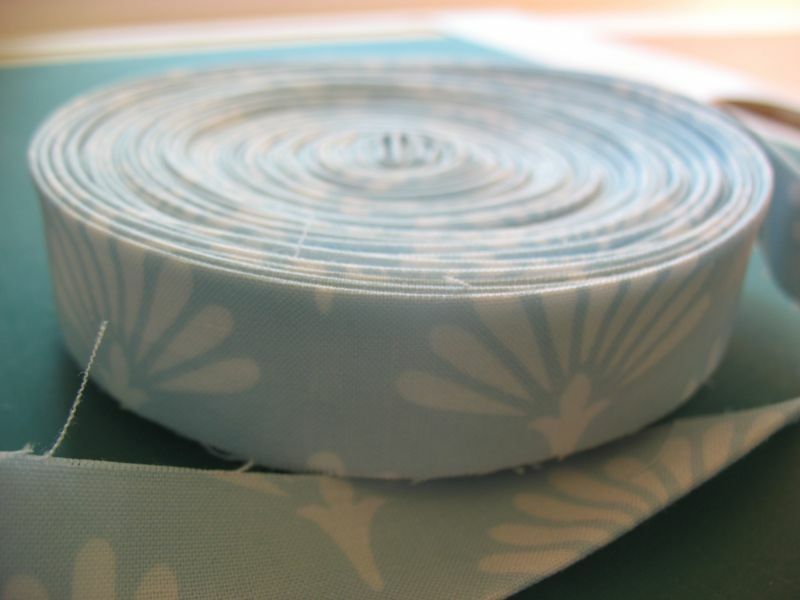 So, I cut strips of fabric–so good to feel them in my hands again, and got to binding those quilts I’d finished early in summer. Hard to believe it’s taken me this long to get back to them. 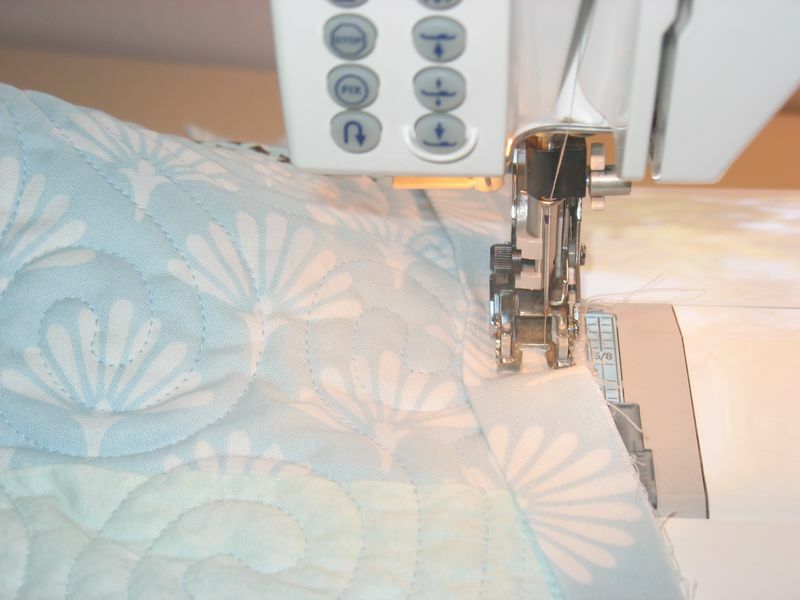 The even-feed foot was on the machine, as this quilt came back from the quilter with mysterious gaps around the edges. The quilt, overall, is quilted beautifully, but these gaps? Turns out she didn’t want to go OVER the edge with her quilting, thinking she’d have to tie off every thread. 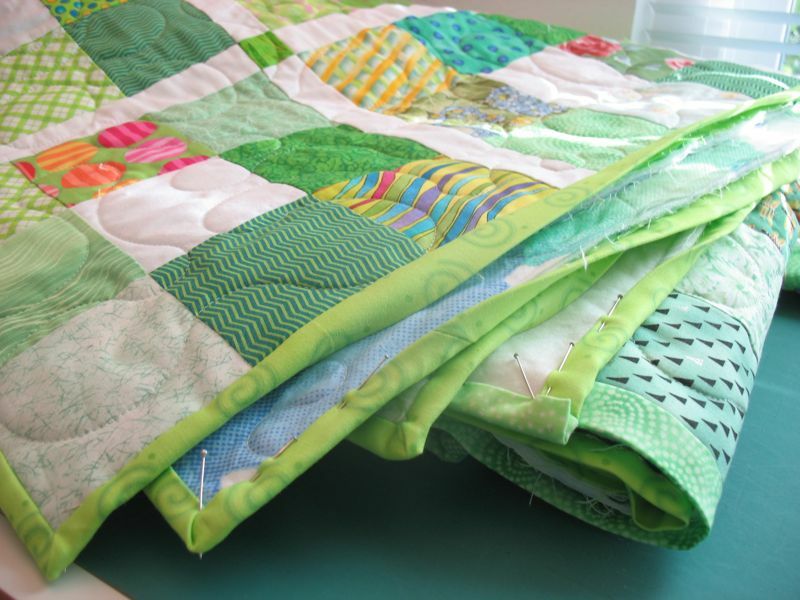 She’s always done traditional machine quilting and this new “modern” quilting–an overall simpler pattern–is new to her. I do like my quilter because she’s willing to try something new, so I’ll just have to chat with her about heading to the edge and over. So I quilted in the gaps (which is one reason why it sat for so long, unbound). I machine sewed it all on, pinned the corners, and now it’s downstairs waiting for me to hand-stitch the back of the binding down while we watch more episodes of the Number One Ladies Detective Agency. Can’t wait until tonight–bless Netflix. 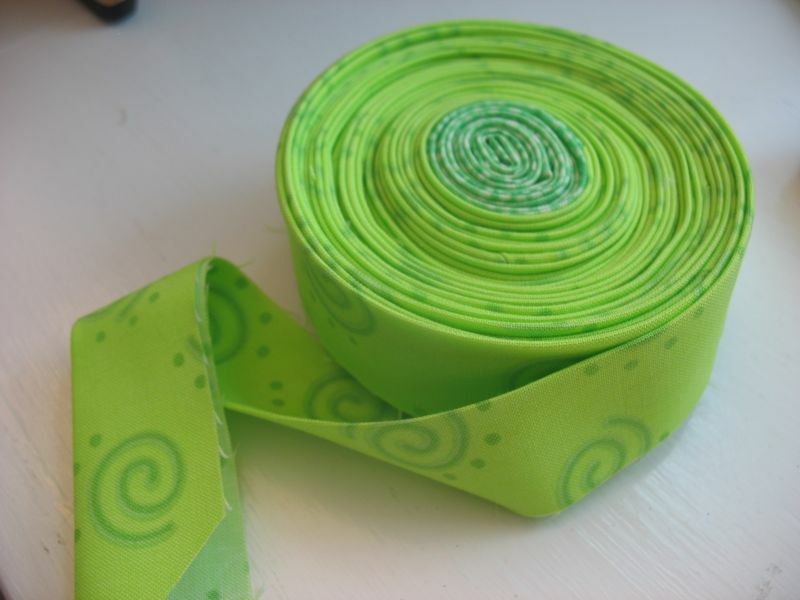 More binding cut–but I ran out of the swirly greens, so had to use some other things. This one’s going to go downstairs to the family room to join the other. I also have some old movies that need watching. So nice to rest my brain from school. So nice to be touching the fabric again. So nice to have a break to do some different kind of labor.